Are you looking for the perfect SUV? Well you have come to the right place. The crossover SUV segment has a whole host of options available for you to choose from. Two of the top competitors in the segment are the 2019 Jeep Grand Cherokee and the 2019 Ford Explorer. Both of these vehicles have something to offer, but the real question is, which one is the better one. The 2019 Grand Cherokee has made no significant changes, but you'll still find available V8 engines, a plush interior, and impressive tow ratings. The 2019 Explorer also hasn't had any major changes, but it still offers easy-to-use infotainment systems, a quiet cabin, and great acceleration with an optional V6 turbocharged engine. The Grand Cherokee starts things off with a bit of an edge, thanks to its well-known off-roading capabilities. To see if the Explorer can keep up, keep reading down below! The engine lineup that comes with the Grand Cherokee is impressive to say the least. The standard engine can produce 295 hp and it is a 3.6-liter V6. This engine can come in 2WD or 4WD, and the fuel economy is around 19/26 mpg. Another available engine can produce up to 360 horsepower and is a 5.7-liter V8. An engine that will eventually be available is a 3.0-liter diesel V6, which can pump out 240 horsepower. One of the more powerful options comes with the Grand Cherokee SRT, and is a 6.4-liter V8, which can generate 475 horsepower. 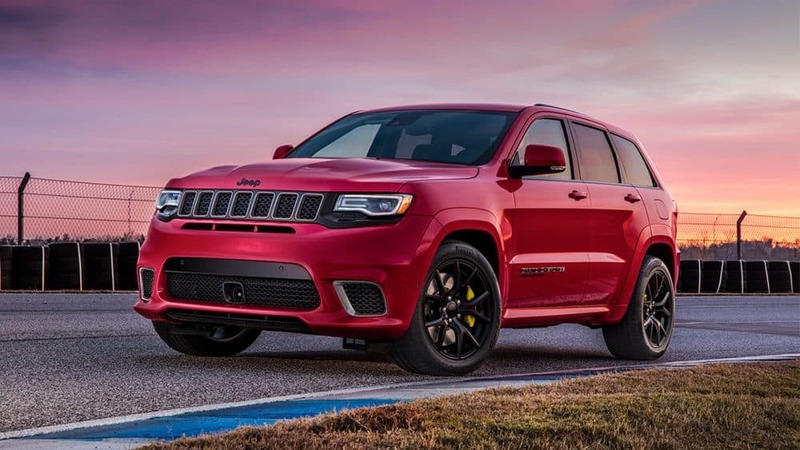 The most powerful engine comes with the Grand Cherokee Trackhawk, and is a supercharged 5.2-liter V8 that creates 707 horsepower. All of the previously mentioned engines come standard with an eight-speed automatic transmission. This SUV is rated to tow up to 7,400-lbs. There are only three engines in the Explorer lineup. The first engine is a 3.5-liter V6, which can create 290 hp and 255 pound-feet of torque. Another available engine is a turbocharged 2.3-liter inline-4, which creates 310 lb-ft of torque and 280 hp. The highest available engine is a twin-turbocharged 3.5-liter V6, which produces 350 lb-ft of torque and 365 hp. All of these engines are connected with a 6-speed automatic transmission, and all-wheel drive can also be found available or standard with the different engines. The Explorer engine lineup is disappointing compared to what the Grand Cherokee offers. Another perk of choosing the Grand Cherokee is that you can choose between seven trim level options. Standard features that come with this SUV include a 7-inch touchscreen, 17-inch wheels, a six-speaker sound system, dual-zone automatic climate control, rear parking sensors, and Apple CarPlay and Android Auto. 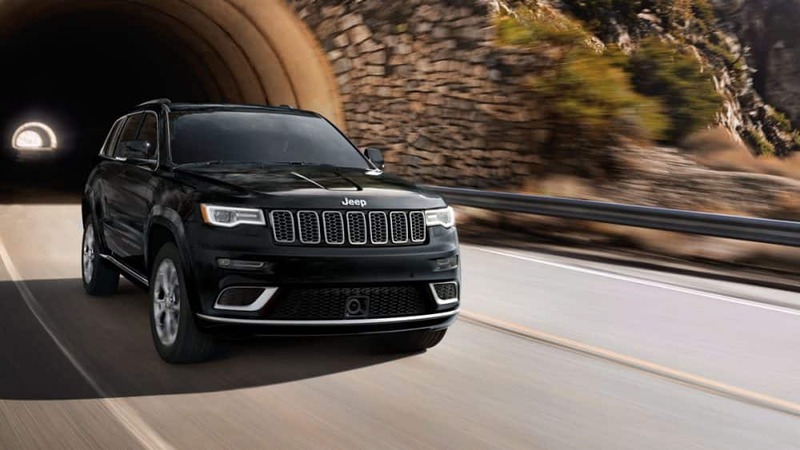 The Trailhawk model, which is off-road oriented, comes with features like an electronic rear differential, hill ascent and descent control, an upgraded instrument cluster display, an adjustable air suspension, and 18-inch wheels. The most well-equipped trim is the Summit, which adds upgraded leather upholstery, a self-parking system, active noise-canceling technology, a 19-speaker Harman Kardon audio system, noise-reducing window glass, and a suite of advanced safety features. Like the engine lineup, the Ford Explorer is lacking trim options. There are only five trims to choose from with the Explorer. Standard features include 18-inch wheels, Bluetooth, a power-adjustable driver's seat, a 4.2-inch central display, Ford's Sync voice command system, and a rearview camera. The Limited trim adds features like a power tilt/telescoping steering wheel, power-folding 3rd-row seats, heated and ventilated front seats, and premium audio. The highest available trim, the Platinum, adds premium leather upholstery, a panoramic sunroof, a premium audio system, and an automated parking system. The 2019 Jeep Grand Cherokee beats the Ford Explorer soundly by offering more engine and trim level options. The Grand Cherokee allows you to pick the configuration that works best for your life, while also making sure that you can enjoy the great outdoors with ease. The Explorer is a one-note SUV, and it lacks the fun that the Grand Cherokee can give you. Check out our full 2019 Jeep Grand Cherokee review that is linked below, and be sure to check out our inventory to see what options we have available to you!